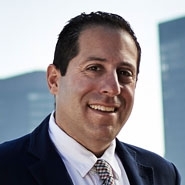 Jonathan Adelsberg spoke on "How to Make A Deal in the Big City" at the ICSC's US Shopping Center Law Conference. With urban retail locations vastly different than suburban store fronts, this program will explore the differences and nuances of making a deal in an urban location. Topics discussed: Determining whether the site is legal for its intended use, What a big city landlord will and will not negotiate, Governmental incentives available to reduce costs and operating and use covenants in particular to urban store fronts.